THIS ITEM IS CURRENTLY ON LONG TERM BACKORDER. PLEASE ORDER AX16539 INSTEAD. 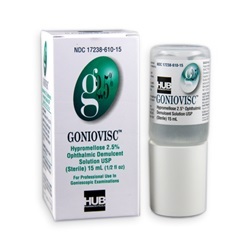 Goniovisc 2.5%, 15mL lubricant eye drops. 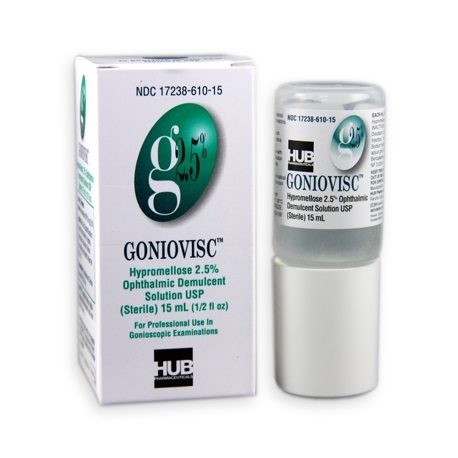 HPMC solution used as a fluid bridge between the cornea and an examination contact lens. Manufactured by Hub Pharmaceuticals. NDC Number: 17238061015. Comes as singles.